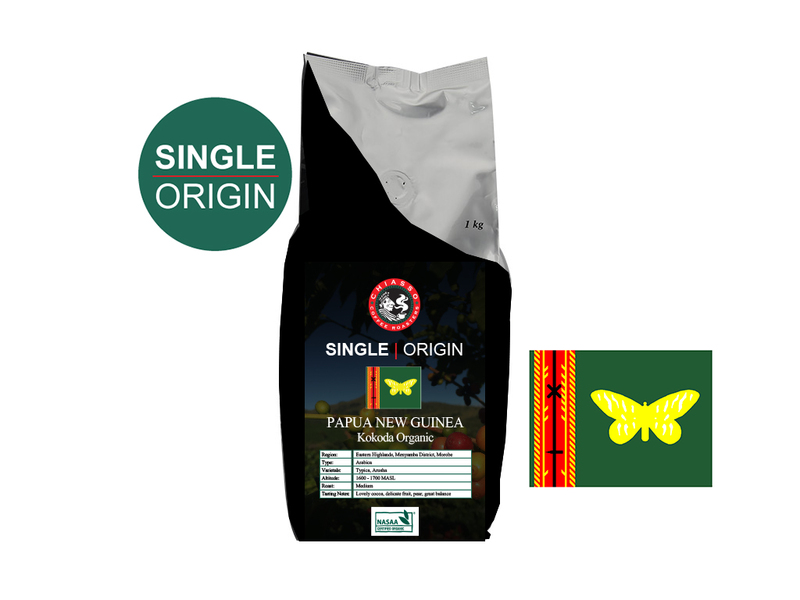 KOKODA ORGANIC Location: Eastern Highlands, Menyamba District, Morobe (region) Tasting Notes: Lovely cocoa, delicate fruit, pear, great balance. Commercial coffee production started with the planting of the highly revered Jamaican Blue Mountain seeds brought over in the 1920s. At the time most of the coffee was derived from a handful of plantations, however now, most production is from small-holders with gardens ranging from a couple of trees to a few hundred trees. The volcanic soil is rich as it is fertile and provides a great home for coffee cultivation. The climate is hot with high levels of rainfall while the topography is mountainous with peaks close to 4,000 metres The cup is noted for its full body and cocoa-fruity aromas of mango and papaya.